Congratulations! It's the biggest day of your life, and Wilderness Ridge is ready to make sure your day is as unforgettable as you've always dreamed. 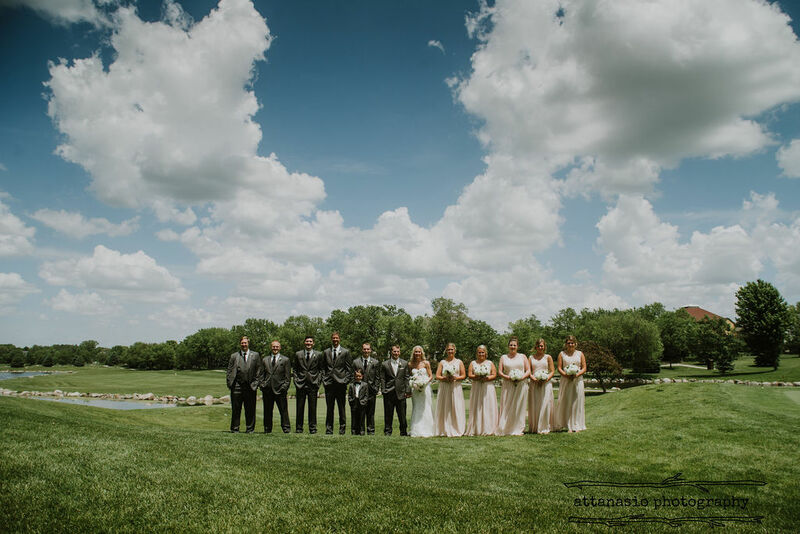 Situated on one of Nebraska's most prestigious golf courses, Wilderness Ridge offers the ideal setting and ambiance for your one-of-a-kind wedding. 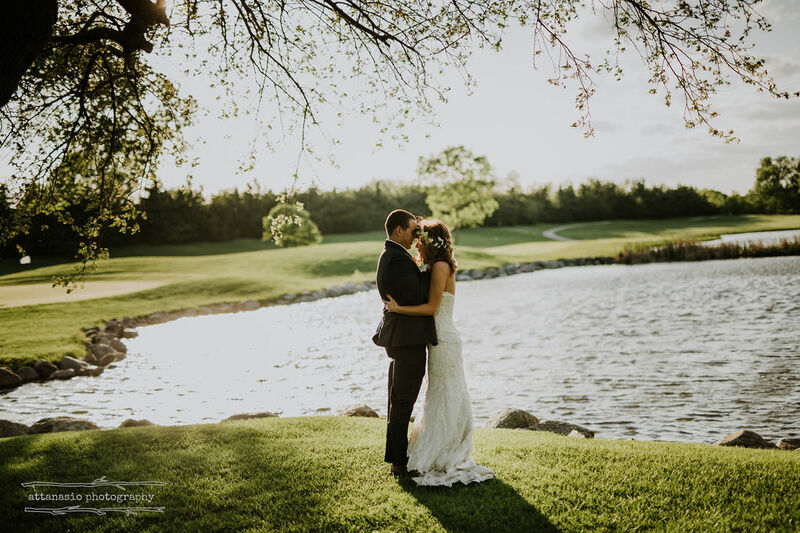 Overlooking the natural beauty of the golf course, Wilderness Ridge is the premier location for Lincoln’s wedding receptions, corporate functions, retirement dinners and all your special events! Created from harvested timber and constructed in Montana, the clubhouse carries out its "wilderness" theme with its hand crafted woodwork throughout, natural stone landscaping, and beautiful rustic artwork. Our impressive wrap around cedar deck situated on the rear of the building lets guests view surrounding lakes, streams and views of holes from both courses. 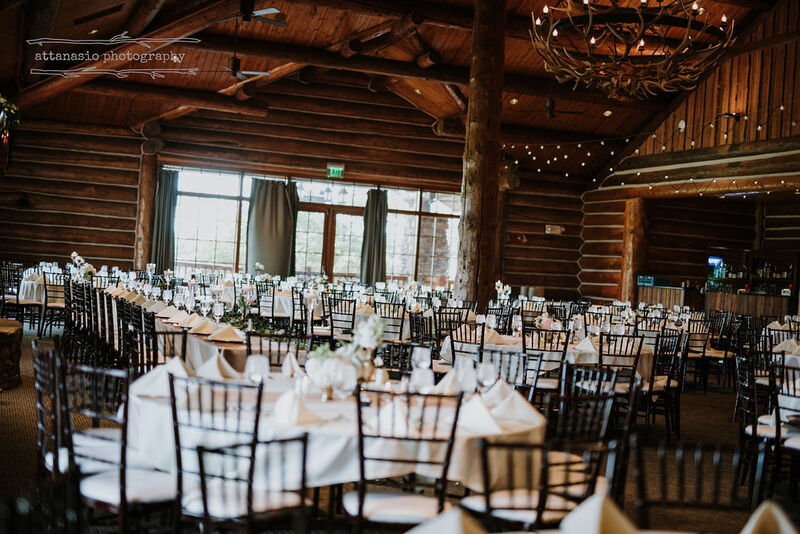 From small intimate dinners to large wedding receptions, our veteran sales managers are ready to work with you to create an event that is seamless from start to finish. 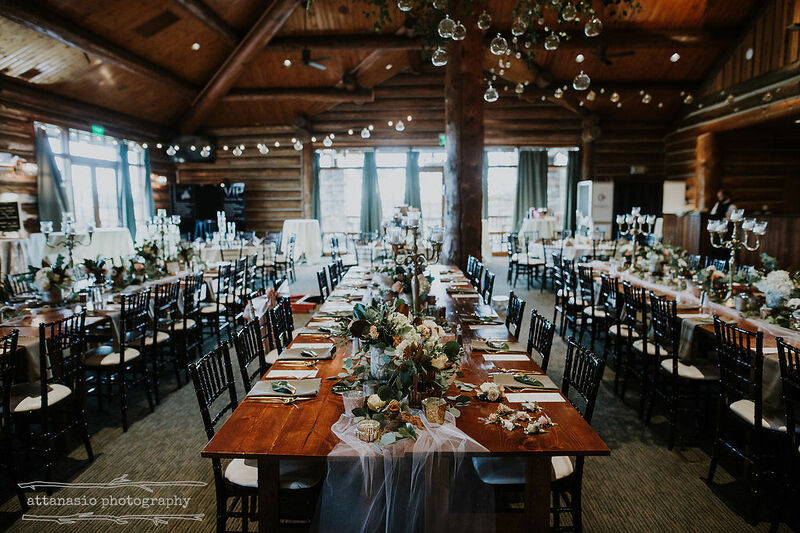 Wilderness Ridge takes care of setup and tear down, table service and glassware, centerpiece and linen options, audio/visual equipment, menu options and exquisite presentation. Situated in south Lincoln near Southpointe Pavilions, Wilderness Ridge is the perfect venue to host your event. Your guests arrive on the property by passing our beautiful waterfall at the entrance and drive around the largest lake on the property. Parking is no worry for your guests, as they arrive with ample parking situated right in front of the clubhouse. "We planned a wedding reception for our son and daughter-in-law at Wilderness Ridge. The ballroom was a perfect setting for this event. Isabel Reichel was delightful to work with. Our guests enjoyed the delicious food and excellent service. It was a night that we will always remember." 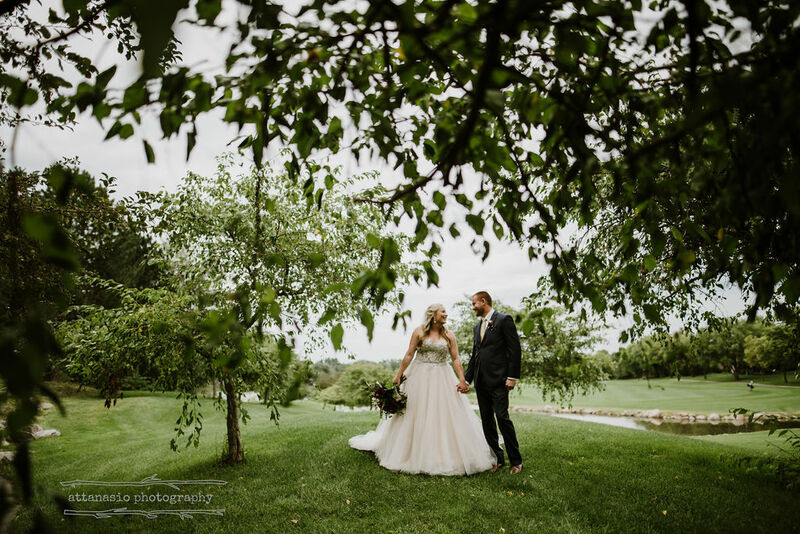 "We had our wedding ceremony and reception at Wilderness and it was a huge success! Thanks to Isabel, for helping us plan it for the past year and answering countless emails/questions! Everyone loved the atmosphere and the set up! I think the food was the biggest hit, though! It was absolutely wonderful! We got so many compliments on the food!! Thanks again, Wilderness staff! 10/10"
"We had our wedding here on NYE 2018. It was spectacular and that was partly due to the amazing venue, food, and staff. We worked with Isabel who was amazing to help us plan out our event and stay in contact with. We had so many compliments on our venue and it's beauty. The food was also amazing and we did stations. Everyone was very impressed! Thank you Wilderness Ridge for helping make our day amazing!" 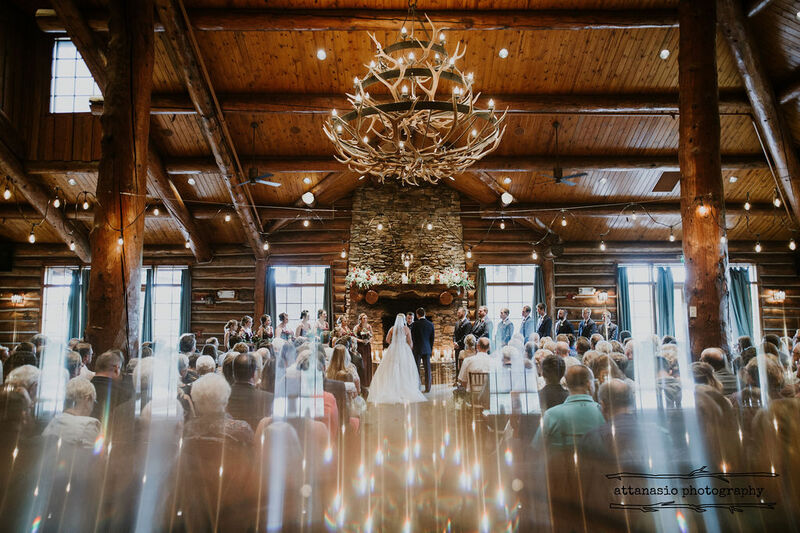 "Wilderness Ridge was beyond phenomenal for our wedding! They made both the ceremony & reception exceptionally perfect. Not only did they have breathtaking backgrounds for us to take pictures in front of, they also were more than accommodating to everything we needed and wanted all day long. The food was absolutely delicious. Our day was beyond perfect and we are forever indebted to you for giving us those beautiful memories to hold onto for the rest of our lives." "Wilderness Ridge did an amazing job on our wedding. The food, service, and overall look of their venue was wonderful! We couldn't have asked for a better place to celebrate our special day!" We sincerely appreciated all of the different options for our reception menu, which provided plenty of choices to fit our budget. The dinner options we chose were delicious and the presentation of the buffet itself was very well executed. Throughout the whole wedding day, and for weeks after, we received many compliments on the beautiful scenery of the Wedding Island, as well as in the building! Our guests from all over the country told us how much they loved the beauty of the one of a kind venue at Wilderness Ridge. Excellent service and venue! It's on the pricey side, but totally worth it! The staff took the stress out of our wedding day by being very accommodating, the venue was beautiful and perfect, the food was delicious! The first comment my husband said after the wedding was, "Can we do it all over again?"